You can’t imagine any roleplaying game without massive boss encounters. 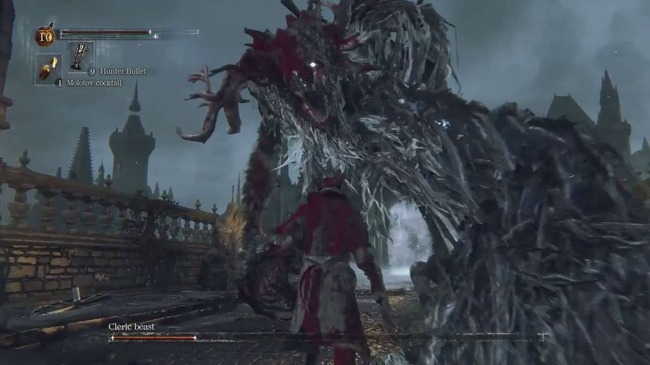 Bloodborne isfull of massively giant creatures to test your gaming skills. The suspense before each fight; the intensity of the combat; the desperate clinging to hope when things look dire; the euphoric relief that comes with finally downing your enemy. It’s all here, and it is incredible. 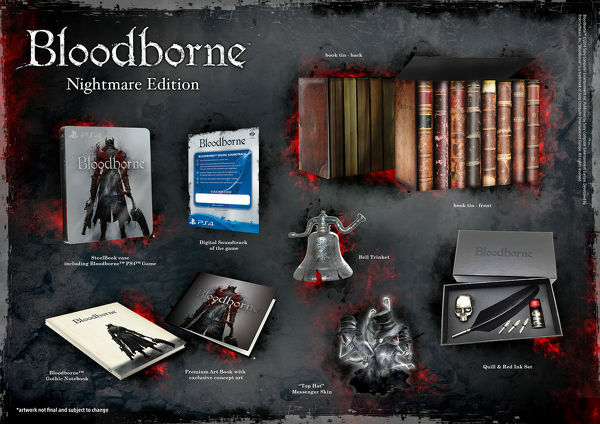 A standard Collector’s Edition of the game was announced that includes the game, along with the Art Book, Digital Soundtrack, and Special SteelBook Case found in the Nightmare Edition.